(NaturalNews) Magnesium is a ubiquitous mineral that has been found in abundance in the human diet for countless generations. Over the past half century, this essential nutrient has been systematically weaned from the vast majority of leafy greens and vegetables due to poor soil conditions and the rapid rise in consumption of processed foods where any required nutrients have been removed in favor of added sugars, fats, artificial flavors and coloring. Magnesium is required for proper electrical signaling within the heart muscle and helps stabilize a normal rhythm. Deficiency of the mineral has also been shown to increase arterial stiffness, increasing blood pressure and work load of the muscle, directly impacting cardiovascular health and mortality. Researchers from Japan, publishing the result of a study in the journal, Atherosclerosis have found that increased intakes of magnesium in the diet may reduce the risk of cardiovascular mortality by 50 percent. Prior research works have determined that low magnesium levels are the best predictor of heart disease, contrary to the traditional belief that cholesterol or saturated fats play the biggest role. In a cohort of studies spanning the past 40 years, scientists have found that low magnesium levels are linked with all known cardiovascular risk factors including high blood pressure, arterial plaque build-up, calcification of soft tissues, excess cholesterol levels and hardening of the arteries. Researchers determined that decades of elevated calcium intake have not been balanced with increasing magnesium intake and consequently in the U.S., dietary calcium-to-magnesium ratios are increasing. Many people have been led to believe that they need to take copious amounts of supplemental calcium to maintain bone health, when in reality they are developing a homeostatic imbalance of the two minerals and dramatically increasing their risk of arterial stiffness, early cardiovascular disease and death. 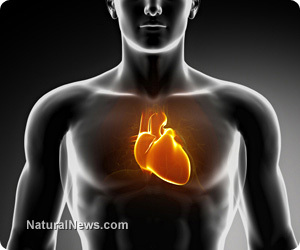 Dr. Carloyn Dean, Medical Advisor of the Nutritional Magnesium Association concluded "...heart disease is still the number one killer in America in spite of over two decades of statin use. The fact that low levels of magnesium are associated with all the risk factors and symptoms of heart disease, hypertension, diabetes, high cholesterol, heart arrhythmia, angina and heart attack can no longer be ignored; the evidence is much too compelling." The authors note that nuts and legumes are an excellent, natural source of magnesium, yet many people avoid them due to the misconception that they are unhealthy due to the high fat content. Daily requirements for magnesium are 320 mg for women and 420 mg for men, yet many people take in less than half of these minimum amounts leading to a significant deficiency over time. Health-conscious individuals will optimize their diet, or supplement with a blended magnesium formulation to assure a daily intake of 400 to 500 mg. Additionally, it may be necessary to limit or eliminate calcium supplementation to maintain proper calcium to magnesium balance and dramatically lower the risk of heart disease and early death.